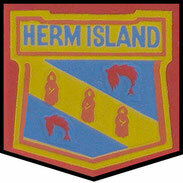 A) LOCAL HISTORY & GENERAL TALKS - acmrosh77s jimdo page! A) History & General Talks Available. Visit to Leeds Castle, Kent. 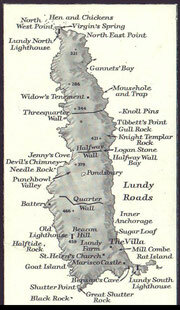 A6) Lundy Island - North Devon. 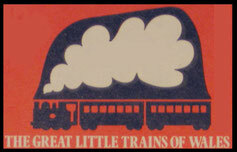 A7) The Great Little Trains of Wales. A8) Buying and Selling on e.Bay. 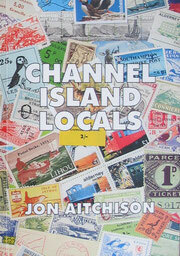 A9) Collecting Stamps and Postcards. 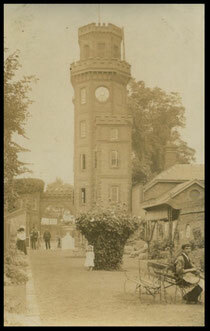 Entrance to Rosherville Gardens, Gravesend.. 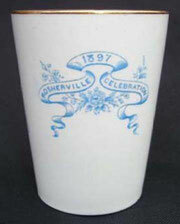 In 1815, steamboats started plying between London and Gravesend bringing great prosperity to the area. With these regular boat services, amenities started to spring up to entertain the passengers and one of these was Rosherville Gardens. 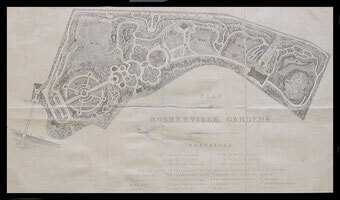 These pleasure gardens were laid out in 1837 by George Jones in one of the disused chalk pits, covering an area of 17 acres. 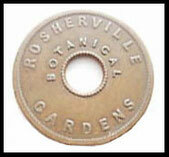 Their full title was the “Kent Zoological and Botanical Gardens Institution”. A pier on the River Thames was built and a railway station “Rosherville Halt” opened on the Gravesend West branch railway from Longfield junction on the London to Chatham line via Bromley South. They were a place of surpassing beauty and a favourite resort of Londoners. Adorned with small Greek Temples and statues set in the cliffs, there were terraces, and an archery lawn, Bijou theatre and the Baronial Hall for refreshments, and also at one time a lake. 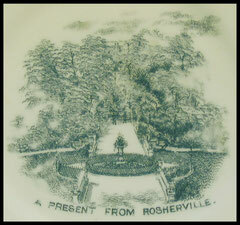 Rosherville Gardens had a luxury look in their mid-Victorian heyday. 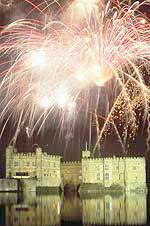 At night the gardens were illuminated with thousands of coloured lights, dancing and there were also firework displays. 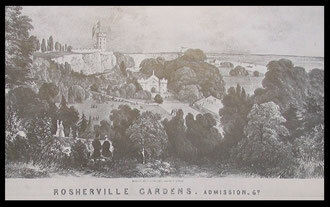 Rosherville Gardends, from the Terrace. Famous bands such as the American Sousa were engaged during the season and Blondin, the famous trapeze artist also performed. 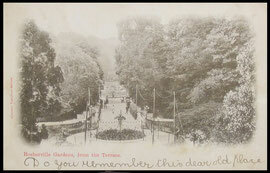 In 1857 as many as 20,000 visitors passed through the turnstiles in one week. Promanade and Terrace Rosherville Gardens. 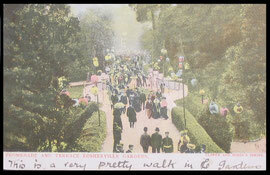 By 1880 the gardens had reached the peak of their popularity. In 1901 they were closed but had a brief revival between 1903 and 1911 where they were used in the making of early films. ILLUSTRATED BY COMPUTER DISPLAYED PICTURES. 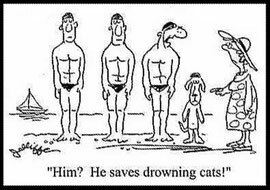 In 1808, Sir William Hillary in the Isle of Man, being aware of the treacherous nature of the Irish Sea with many ships being wrecked around the Manx coast, drew up plans for a national lifeboat service manned by trained crews. His plans were adopted with the help of two members of parliament, Thomas Wilson and George Hibbert and the National Institution for the Preservation of Life from Shipwreck was founded in 1824. Thirty years later the title was changed to the Royal National Lifeboat Institution and the first of the new lifeboats built was stationed at Douglas in recognition Sir William’s work. In its first year, the R.N.L.I. added twelve boats to the existing 39 independent lifeboats. By 1908 there were 280 R.N.L.I. and 17 independents lifeboats. The crews of the lifeboats are almost entirely volunteers and since the R.N.L.I. 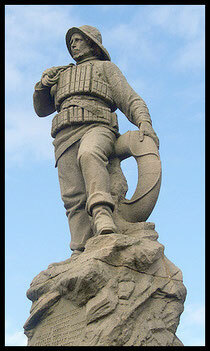 was founded, its lifeboats have saved over 137,000 lives. Leeds Castle is the Saxon manor of Esledes and was the home of one of William the Conqueror’s lords, Robert de Crevecoeur, who built it in 1119. It is set on two islands in the River Len and has been the home of royalty, lords and ladies for over 900 years. It passed into royal hand in 1278 and over the next 150 years, it was held by six mediaeval queens. In Tudor times Henry VIII visited frequently, notably with his Queen, Catherine of Aragon. Henry’s son, King Edward IV granted the castle to one of Henry’s courtiers for his services. Since then it has been in private ownership, it has been a garrison, a prison and a convalescent home, as well as being the home of the Culpepper, Fairfax, and Wykeham Martin families. A Jousting Event at the Castle. In 1926 Olive Wilson Filmer, later to become Lady Baillie purchased the castle and lived there until her death. In 1974 she bequeathed Leeds Castle to the nation in perpetuity under the charitable trust of the Leeds Castle Foundation. The castle is open to visitors all year round except for three days a year. The admission ticket is also valid for one year from the date of purchase. 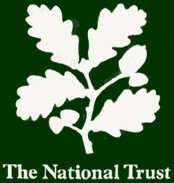 In 1895, the National Trust was founded by Miss Octavia Hill, Sir Robert Hunter and Canon Hardwicke Rawnsley. 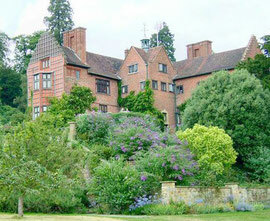 Chartwell, Kent. The Home of Winston Churchill. They were very concerned about the impact that large scale uncontrolled development and industrialisation was having on the country. They decided to set up an organisation, later called the National Trust to act as a guardian for the nation, in the acquisition and protection of the threatened British buildings, coastline and countryside. 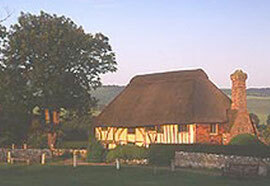 In 1896, the first building purchased by the Trust was Alfriston Clergy House in Sussex, bought for £10. 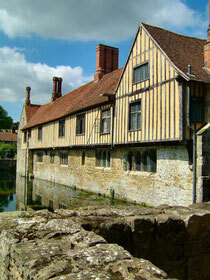 Many properties and land have been acquired over the years and in 1986, Ightham Mote, a moated 14th century medieval manor house near Sevenoaks in Kent, was acquired from Charles Henry Robinson. A phased programme of repairs and extensive conservation was started in 1988. Ten million pounds has been spent on this building and it was complete in 2008. Membership is offered to all, on a yearly basis, who can visit all the properties free of charge. Properties can also be visited by non-members for an admission fee. The village of Rolvenden is located on the A28, Ashford to Hastings road, five miles south-west of Tenterden. The hamlet of Rolvenden Layne is just south of Rolvenden and both are in the District of Ashford. 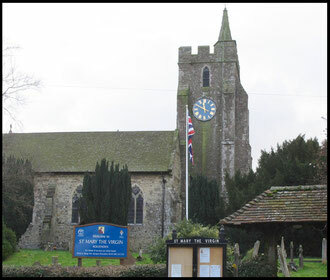 St. Mary the Virgin Church, Rolvenden. 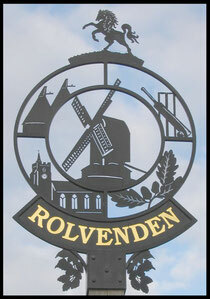 The village of Rolvenden dates from at least Saxon times and is mentioned in the Domesday book as Rovindene. In the reign of King Edward III this was later changed to Riolvinden, and then changed again to Rounden in the late 17th century. 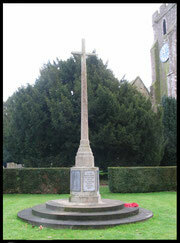 Rolvenden village originally consisted of the Streyte located along what is now the A28 Ashford to Hastings road, which was almost entirely burned down in 1665, during the Great Plague (except for the church, pub and some farms). This disastrous fire caused the villagers to abandon the Streyte and move a mile down the hill to the common land of the Layne. Already there was the Tudor house, where John Wesley later preached in the 18th century. The villagers later returned to rebuild the Streyte, resulting in the two small hamlets, the Streyte and the younger, smaller and quieter Layne that you see today. 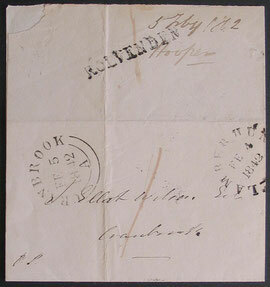 An entire sent from Rolvenden to Cranbrook. 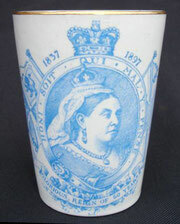 5th February 1842. Rolvenden village originally consisted of the Streyte located along what is now the A28 Ashford to Hastings road, which was almost entirely burned down in 1665, during the Great Plague (except for the church, pub and some farms). This caused the villagers to abandon the Streyte and move a mile down the hill to the common land of the Layne. 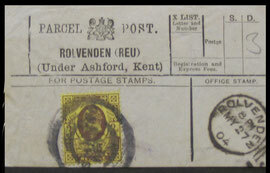 A 1904 Rolvenden Parcel Post Label. 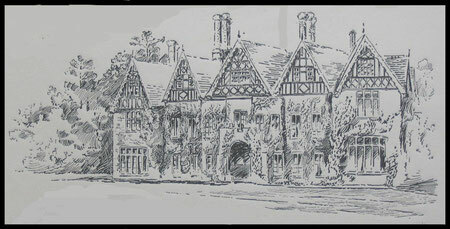 Already there was the Tudor house, where John Wesley later preached in the 18th century. A Rolvenden to Tenterden Town Railway Ticket. The villagers later returned to rebuild the Streyte, resulting in the two small hamlets, the Streyte and the younger, smaller and quieter Layne that you see today. Lundy lies off the coast of North Devon, where the Atlantic ocean meets the Bristol Channel with nothing between it and America, a granite outcrop, three and a half miles long and half a mile wide. In the hubbub of the modern world it is a place apart, peaceful and unspoilt. 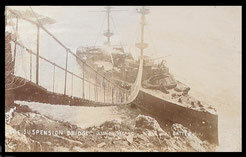 The Suspension Bridge to the wrecked H.M.S. Montagu. On the 30th May 1906, the battleship H.M.S. Montagu was wrecked after steaming in heavy fog and ran hard aground near Shutter Rock on the south west of the Island. 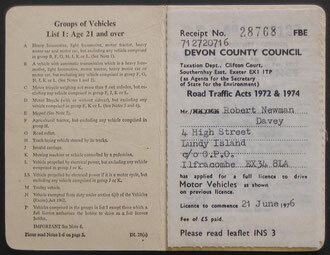 A driving licence issued to Robert Davy on Lundy. 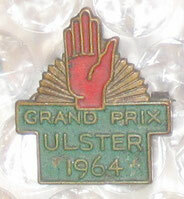 Dated 21st June 1976. 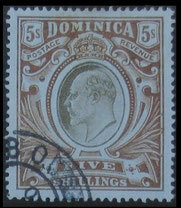 Martin Coles Harman bought the Island in 1925 and issued his own stamps in 1929. 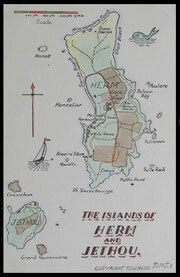 The Island is now owned by the National Trust and is being run by the Landmark Trust. 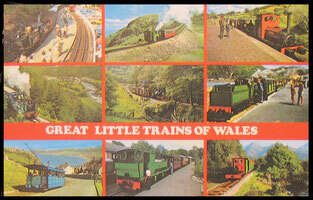 The Great Little Trains of Wales is a group of ten Welsh narrow gauge steam railways, with some having a history of over one hundred years. 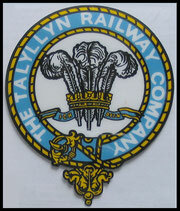 All of them have the charm of the old time steam trains with plenty of polished paintwork and gleaming brass. Built in a time of less hast than our own, most originally served to carry Welsh slate from the quarries to the seaports. However, no two are the same and they all offer a unique experience of a bygone era and also some of the best scenery in the British Isles. 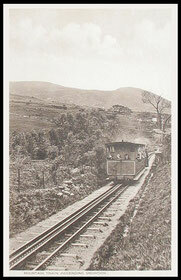 The special attraction of narrow gauge railways lies in their modest size compared with main line locomotives, and their leisurely speed gives time to take in the splendid scenery. This talk is usually split into two parts. After looking for many years for that illusive item that you have always wanted, it is now possible to search the World Wide Web and hopefully find that item via selling web-sites such as eBay. That unwanted “Junk” that you may have in the attic, back room, garage or shed maybe the special item that someone else has been looking for, for years. This talk shows how to go through the whole process, and after many years for buying for my collection, experience has been gained and it also deals with the pitfalls that may be found along the way. 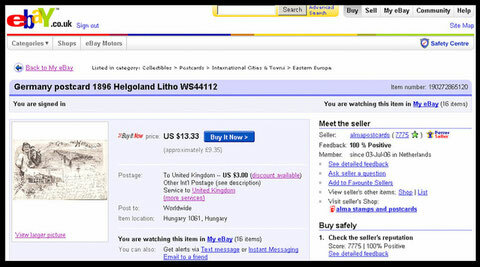 There are many eBay sites on the internet and all can be accessed via a computer, whether you have one at home or at the local library, where they are usually available for free. The second talk deals briefly with buying on eBay, but deals mainly with the selling aspect for disposing of that unwanted item using the eBay web site. 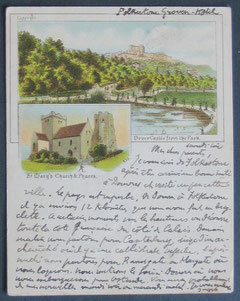 Dover Castle, Kent postcard used to Belgium in 1899. 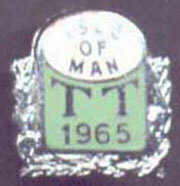 Many people started collected postage stamps when they were young and after having a family etc. have now renewed their interest in the hobby in their later years. There are hundreds of Clubs all over the country, where fellow collectors meet on a regular basis to discuss the hobby. 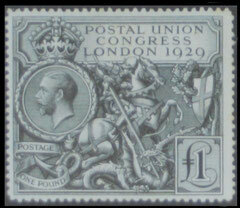 Great Britain: 1929 P.U.C. £1 value, mint. 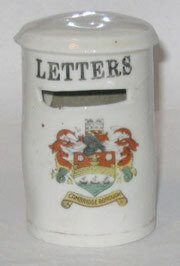 This display details the pleasures that can be obtained from the hobby and also deals with stamp auctions and the experiences gained by the speaker in his career with two of London’s main stamp auctioneers over the last twenty years. 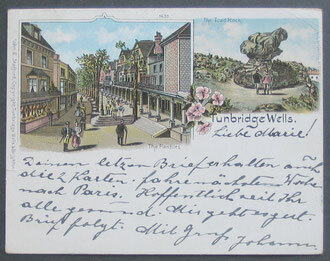 Tunbridge Wells, Kent "Court" size postcard used to Austria in 1900. It also deals with the relatively new hobby of postcard collecting, with many new Clubs starting up including the North West Kent Postcard Club in Gravesend. 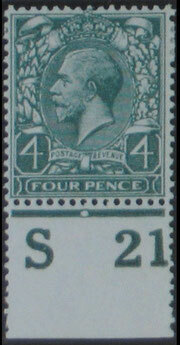 Great Britain: 2001 Submarine Service issue, 1st class value in imperforate pair.